He had brought a large basket with him. From it came tumbling oranges, impossibly bright against the old, scrubbed wood. ‘How so?’ The air around me was a spritz of juices, fresh and sweet. 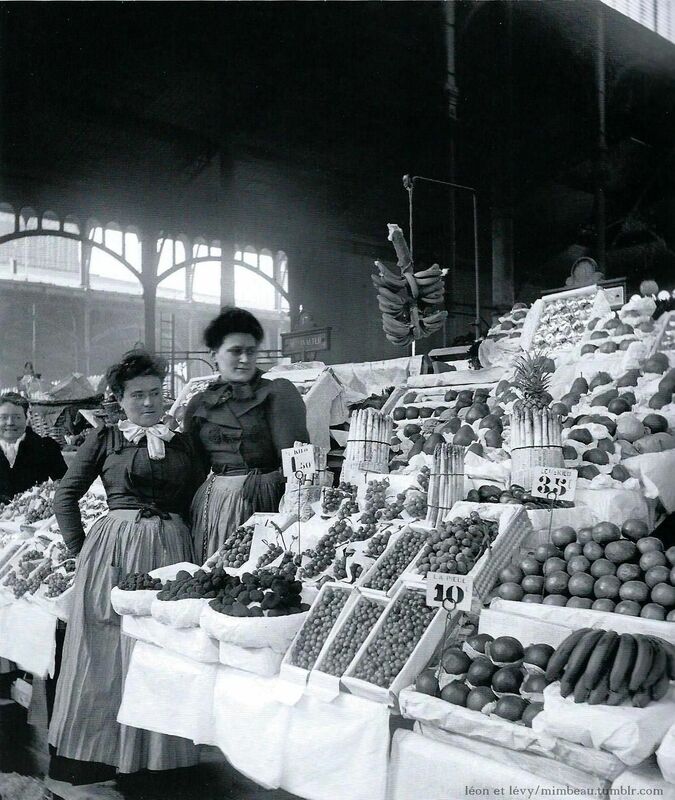 If you were to walk through the bustling Les Halles market, “the belly of Paris” at the end of the nineteenth century, you would have come across barrows full of citrus fruits, their skins gleaming bright against the grey winter city. A luxury for the wealthy, those oranges and lemons arrived in Paris after a journey of nearly a thousand miles. In 1900, lorries and commercial haulage didn’t yet exist. Canals were too slow for perishable goods, always at risk of spoiling. No, there was only one way to ship the precious cargo of winter citrus fruit from the southern coast of Spain all the way to the chilly, fog-wrapped Northern cities of Europe. The railroad. On the surface it might seem simple, to load crates or oranges and lemons into a freight compartment in Spain and send them on their way, to arrive in Paris a few days later. It would have been, had it not been for a hitch: the gauges of the tracks in France and Spain were – and still are in many places – different sizes. This one distinct problem was a catalyst, bringing together the citrus freight, the railroad and a group of indomitable female workers into a remarkable, if forgotten, story of bravery, industrial exploitation and activism. The setting for this story is the small frontier town of Cerbère, the last station in France before the border with Spain, at the very edge of French Catalonia. Cerbère is a child of the railroad and the sea; a place that manages to be many things at once. French and Catalan, rural and international. For many years, it could only be reached by boat or by walking the goat tracks over the arid maquis. Before 1870, Cerbère was a sleepy place, home to a few wine-growing families, fishermen, and the odd customs official trying to stop smugglers from crossing the border. But on January 21st 1878, the French Chemins du fer du Midi and the railway company of Tarragona met at the Cerbère border. There, they encountered the problem that was to give rise to one of the most fascinating chapters in Cerbère’s history, and in the history of women’s labour. The French rail gauge was set to the European standard – 1,435mm – while the Spanish was 1,668mm. As a result, nothing could roll from one country into the other. Any passengers or freight needing to cross the border had to be unloaded and reloaded, every time. The solution that presented itself was both simple and indicative of the Victorian-era, when industry built profit upon the backs of the labouring poor. To move the freight, all that was required were hands, and a lot of them. Soon, freight forwarding companies were springing up on either side of the border, eager to exploit the situation. They began to employ women specifically to move the citrus cargo, believing that they would treat the fruit more carefully and dextrously than male haulers. These women became known locally as les transbordeuses. 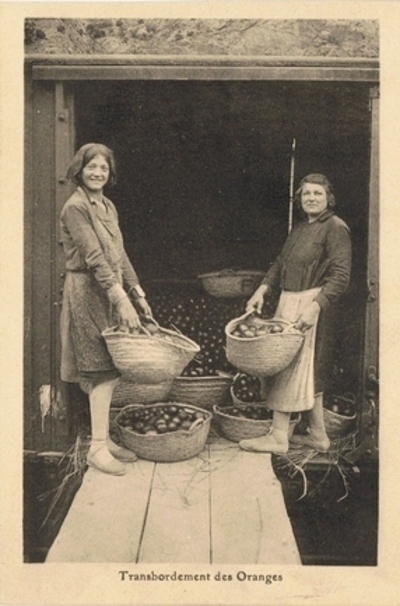 The job was hard and the pay was meagre – 75 centimes per team for every wagon loaded, and 1 extra centime for the team leader – but for several months of every year, these women were an essential part of the supply chain, moving vast quantities of fruit between carriages. It was tricky work; the oranges were a valuable winter crop, a luxury had to be expertly packed to prevent spoilage on the long journey north, to Paris, Brussels, sometimes even as far as Russia. Five women worked every compartment. 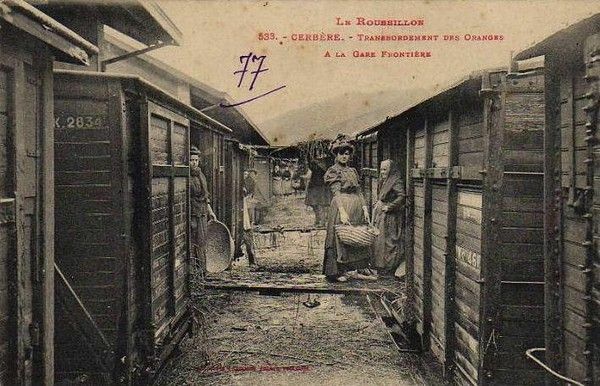 Two “remplisseuses” unloaded the oranges into straw-padded baskets, two “passeuses” carried those baskets across narrow gangplanks to the French wagons, where a last woman, the “videuse”, carefully stowed the oranges in stacks, inserting long, hollow reeds throughout to ensure airflow around the fruit. Between November and May every year, the women often worked sixteen or seventeen hour days, from six in the morning to eleven o’clock at night, hauling twenty kilogram baskets back and forth. Due to the seasonality of the work and the intense, busy hours, women would end up as the breadwinners of their families, sometimes earning twice as much as their husbands or fathers. Soon, however, the freight companies began to find ways to abuse their workforce. They created a hierarchy of teams; the fastest and most loyal workers were at the top, and would win the most wagons. Those at the bottom might not get any work at all. This resulted in huge wage inequalities, and bred resentment, rather than cooperation between teams of women. But by the beginning of the twentieth century, with change sweeping across Europe, the transbordeuses had had enough of poor working conditions and even poorer pay. On 26th February 1906, one hundred and seventy of the women went on strike, demanding a 25% pay increase and an end to the hierarchy system. After twenty-four hours, with three-quarters of the citrus wagons blocking the station and at a risk of spoiling, the freight forwarding companies gave in, and agreed to the pay-rise as well as a fairer rotation of teams. As a result of this victory, the women went on to form one of the first working class women’s unions in France; the Syndicat des transbordeuses d’oranges. The newfound accord was not to last. Soon, tensions began to grow. Some workers were encouraged by the freight forwarding companies to start a union of their own to counter the Syndicat. The freight companies then refused to recognise the “red” Syndicat as an official trade union, while simultaneously signing a contract with the new, “yellow” union, promising them priority. The fair rotation scheme was destroyed, workers pitted against each other. Throughout 1906, Syndicat members fought fiercely against the injustices, including abuse and unfair dismissal. In late autumn, they went on strike again and blocked the station doors, stopping “yellow” workers from reaching the wagons. The situation eventually grew so tense that the state dispatched two companies of infantry soldiers to the area. Fruit businesses in Spain appealed to the Spanish ambassador in Paris, begging him to try and resolve the situation. But the women of the Syndicat refused to be bullied or threatened into going back to work. For two long months, they stood firm, all the while wreaking havoc at Cerbère station. On 29th November, they even lay down on the tracks in front of a train from Perpignan in protest, not moving until the train was finally called to a halt only two metres from where they lay. In December, with the busiest months imminent, the freight forwarding companies and the Syndicat were finally brought together to discuss the situation. As a meeting, it was not without conflict. But in the end a solution, of sorts, was reached. The outcome was not what the Syndicat had hoped for; the freight forwarders demanded and won the right to give priority to their own “yellow” workers, though only during morning work hours. Although the final outcome of the long strike left many of the transbordeuses angry and disappointed, it does not diminish the importance of their actions. By standing up for better pay, for fairer hours, against unjust dismissals, they made history by staging one of the first all-female strikes in France. They also formed one of the first women’s unions, captured international attention, and fought for the rights of the individual worker against company exploitation. 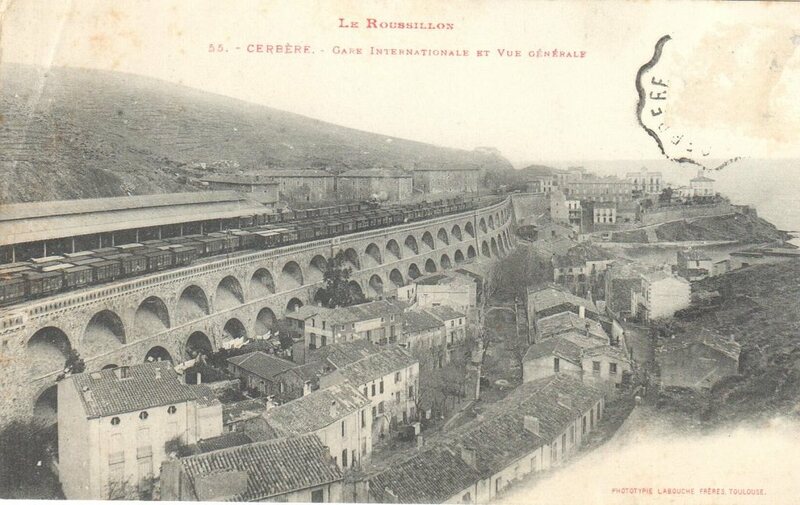 By 1930, buoyed by freight, Cerbère a thriving border station. Villas and ornate customs offices were built into the hills; a new road for touring cars, and a grand art deco hotel that jutted out above the sea like the prow of a ship. 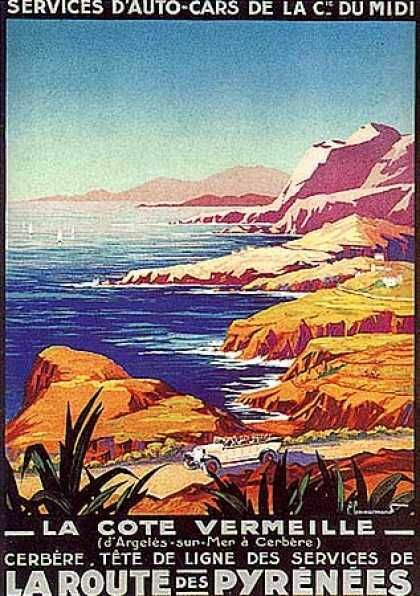 Passengers could travel along the coast, taking in the glittering bays of the Côte Vermeille, and alight at Cerbère to spend a night or two at the elegant Hôtel Belvédère du Rayon Vert, perched above the tracks. When their papers had been stamped by officials, they could re-board and continue their leisurely way into Spain. 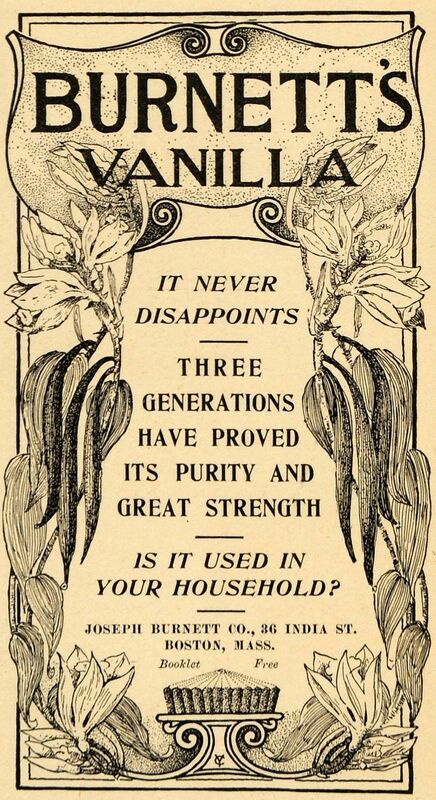 And all the while, the transbordeuses worked, passing the trade down from mother to daughter over the years. Amongst the glamour and money that came to the Cerbère thanks to customs taxes, it is easy to forget the women who made it all possible. By the 1950s, with the introduction of the variable gauges and gauge change systems, work for the transbordeuses dried up. As the decades went on, freight passing through Cerbère began to decrease, as long-distance haulage, cheap shipping and air freight were introduced. The railroad was no longer an artery, feeding the town, and traffic at the once hectic station slowed to a trickle. Today, Cerbère must be one of the quietest international stations in the world, with one or two freight passenger trains passing through, on the long journey between Paris and Barcelona. Most of the ornate customs houses that line the track are derelict, home to pigeons. The imposing Hôtel Belvédère du Rayon Vert was left to fall into disrepair after being occupied during World War II, but is now being renovated, slowly, a room at a time. Thankfully much of its art deco charm, its floor tiles and auditorium, grand dining room and entrance hall remains intact, albeit a little battered and faded. Cerbère’s history as a border station makes it a fascinating place; humble yet grand, proud yet wry and welcoming, somehow more real and vivid than other nearby seaside towns like touristy Collioure. Until last year, it was possible to take the sleeper train from the Gare d’Austerlitz in Paris at ten o’clock at night, and wake up at the feet of the Pyrénées-Orientales, and in Cerbère, in time for breakfast the next morning. Sadly, the train company have discontinued this route (although there’s a rumour that it might start up again soon) so I’m glad it’s a journey I was able to make while I could; tracing the route that the orange cargoes would have taken over a hundred years ago, packed by the hands of the courageous transbordeuses. Cerbére can be reached direct by train from Paris in around six to eight hours, for as little as €20-€30, if booked in advance. Alternatively, fly to Carcassonne, Perpignan, Toulouse or Barcelona and take the train from there. It’s possible to stay in one of the renovated apartments in this fascinating hotel, complete with 1930s furniture. Don’t expect five star luxury, but if you’re after a truly unique experience, this is the place for you.